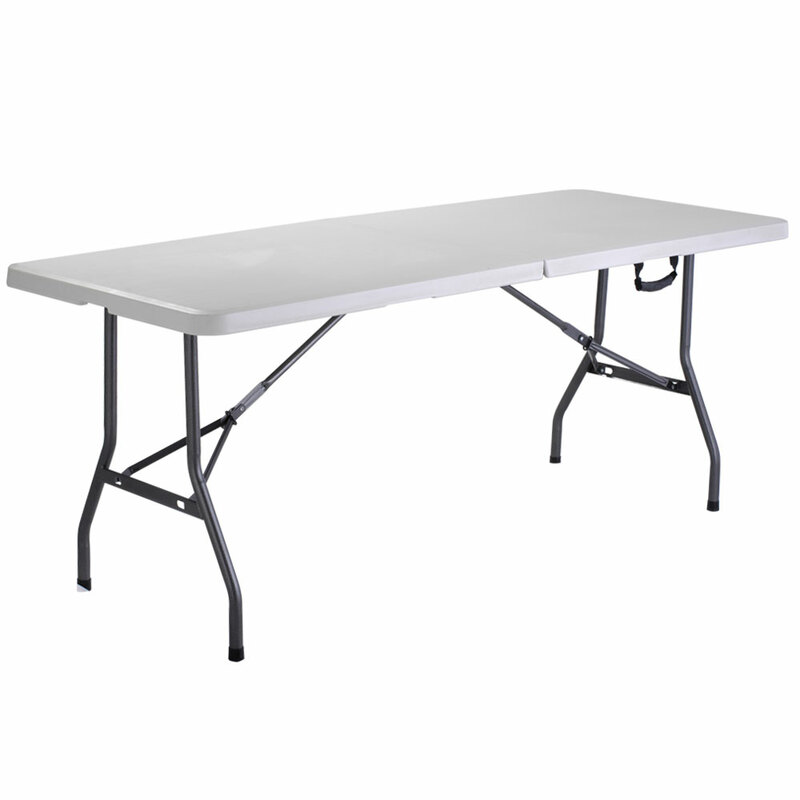 Cream color plastic table folds and includes convenient handle to make carrying easy. Dress up the 6 ft Folding Table with our black stretch table cover item 5140 to create an elegant look. 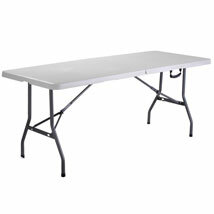 Great for promotional sales, corporate events, trade shows - anywhere you need a portable table.